Travis Scott came out with a new music featuring The-Dream recently became a baby daddy, to one of the most famous females in the world no less, we’re referring to Kylie Jenner, obviously. The two welcomed a baby girl this past weekend, following a highly secretive, albeit rumor-heavy, pregnancy. Amid the frenzy of a newborn, it seems someone took it upon themselves to leak a previously unheard, but dope, Travis record. 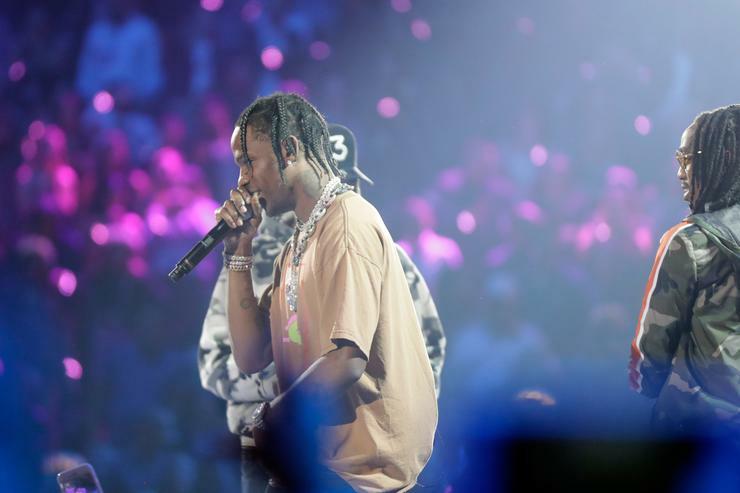 The song is actually a more mellow and reflective offering than what we’re used to hearing from Travis, as he goes in over a sped-up vocal sample.